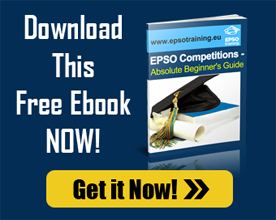 For scientists and scientific jobs, EPSO publishes open competitions from time to time called the “specialist exams. In this exam, there is a Talent Screener in which the candidate needs to include in their profile their professional background and experience relevant to the job. For those who are interested to apply for scientific jobs, a candidate needs to go through an Assessment Centre and take different tests such as verbal and numerical reasoning test and abstract. Qualified candidates may be employed in one of the offices in several EU countries as DG Research of the European Commission or the Joint Research Centre of the Commission.